It is the start of February and the start of a new week. Last weeks meals were a bit of a disaster one of the slimming world recipes we tried wasn't very nice, we all pushed it around our plates. Jared then declared he was full which prompted Liam and I to say 'yep me too'. 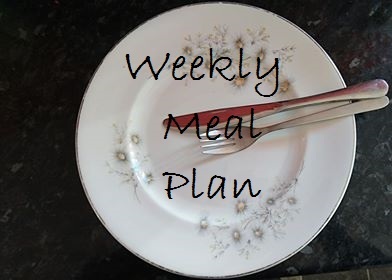 So this week's meal plan consists of a few slow cooker recipes, which I can't wait to try as I have been spending what feels like hours preparing these so called quick family favs. Monday: Slow cooker lasagne I might syn myself some garlic bread with this.